Two of our DelCor technology consultants spent a few days in Austin at the 2016 Abila User and Developer Conference (AUDC). So, from the frontlines, here are PMPs Gretchen Steenstra and Diane Stoner reporting! Find out how to use your software or system more effectively. Share experiences and lessons with your peers, especially when PM PokerTM is on the schedule. Discover a new skill or tool. And, catch up with friends and acquaintances. My colleague Diane Stoner and I recently attended the Abila User and Developer Conference (AUDC) in Austin. We scoured our notes to share with you some of our favorite conference takeaways. Where your talents and the needs of the world intersect is your purpose. Purpose is the great differentiator. When running a purpose-driven organization, everyone has to know the words to the song. Marry the doers with the dreamers—the secret combo. Don’t be ahead of the curve—be the curve. Strength-based organizations are the future, he said. His message to organizations and individuals is: Don't spend another minute trying to improve your weaknesses, focus instead on your strengths and talents. The Strengths Finder book and quiz is a good resource to help you uncover and identify your talents. And, don’t miss this video he shared about a dog that found her purpose. Warning: you’ll want to hug a dog shortly after. 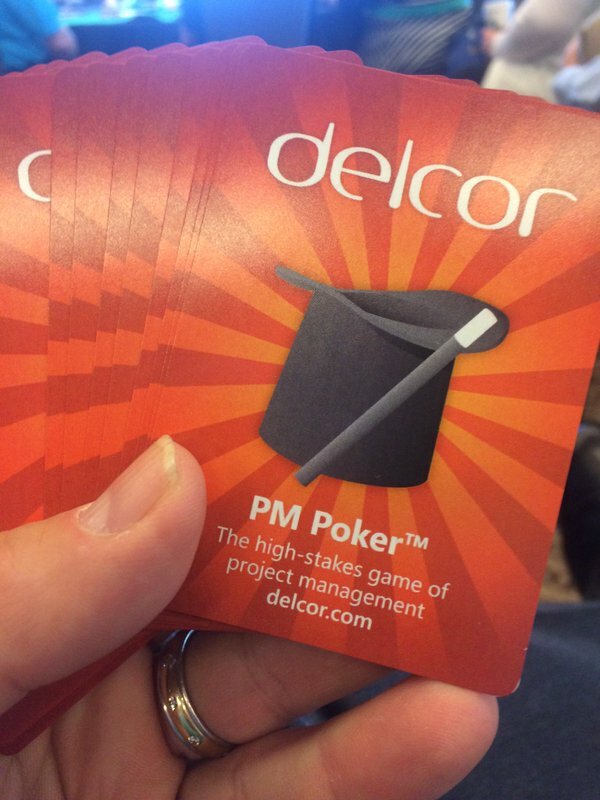 I find it hard to believe that Project Management (PM) Poker is in its 11th year! I didn’t even submit it as a session to Abila because I figured it had run its course. It turns out that I was wrong because Abila put it on the schedule. Because it was one of the final sessions of the conference, I was concerned that my fellow players and I would find ourselves alone in an empty room. But I was wrong again: nearly 40 attendees decided to end their conference with us. People need people. Project management is a difficult and sometimes lonely job. PM Poker gives you a chance to talk to others about your struggles and success and to learn from people who get PM. Tips under pressure: When you only have 60-90 seconds to respond to a PM situation, it encourages speakers to be succinct. Real-life discussions: The session format prompts discussion of everyday situations. We don’t always have the perfect answer but you’ll always hear something new to try. Wild cards: During wild card moments, the audience gets their chance to add to the conversation. Props and drinks: The addition of fidget objects and cold (adult) beverages can help stoke creative juices. Thanks to my fellow PM Poker players: Craig Peake of Abila, Debbie King of DSK Solutions, Tim Ward of Gravitate Solutions, Greg Belshe of the American Academy of Family Physicians, and Kate Evans Pollin of the American Speech-Language-Hearing Association who also continued the PM discussion with a small group long after the session ended. Will I submit this session next year? HECK YA! Have you struggled to get funding for technology initiatives? David Stephenson, Director of Information Technology at Worldwide ERC, and I presented a session about techniques you can use to overcome the barriers to funding technology. Every IT professional should know the basics of planning and managing a budget. Everyone reads organizational goals, but do you know how they align with YOUR projects? You must understand how technology supports and enhances the goals of your association. Think like an executive. If you are an IT professional who is not part of the senior leadership team, you must observe and learn how senior staff prefers to receive information. Talk to your colleagues so you can learn about new projects and find opportunities to demystify technology. Technology is part of every project. Transform the IT department into the go-to resource to help staff identify, develop, and maintain the best technology solutions for your association from websites to new Outlook features. Austin has plenty of fun places to hang out with friends new and old. If you can’t find food or music that you like, something is seriously wrong! 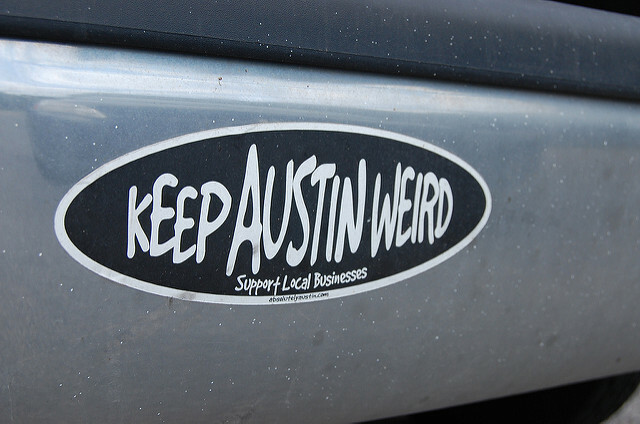 Austin has fantastic BBQ joints, food trucks galore, rock, blues, and country music—you name it, Austin’s got it. And now, a word from Diane! AUDC opened with a keynote from Erin Shy, Abila Senior VP of Product Management & Product Marketing, who explained how technology can help you make deeper connections through story-telling. She started with a Brené Brown quote: “Maybe stories are just data with a soul.” As Debbie King of DSK Solutions always says, “Your data is speaking to you. Are you listening?” Think about all the potential stories your organization has to tell through its data. Integration between the systems in the Abila product suite and document management systems can help you uncover the stories in your data. They say a picture is worth a 1,000 words—that’s why data visualization (dashboards) are helping organizations illustrate and share the stories hidden in their data. Abila is also using visuals to improve their user interface design, which will improve user efficiency. Their goal is to connect you to your audience. Historically, software solutions were viewed through a transactional lens. Now Abila is moving its focus to your audience’s experience—the member (mX), donor (dX), and founder (fX as in foundation) experience. The goal of a retrospective is to capture knowledge learned during the project that you can apply to future projects. To illustrate the power of this activity, we asked the audience to team up in groups and do an exercise. Identify successes (what worked well) and opportunities for improvement (what didn’t). Consider aspects of the project such as specifications (in this case, intentionally vague and brief instructions), materials, environment, time constraints, and skill levels of the team members (e.g., did we need a marshmallow engineer?). Each team reported back and we discussed their “lessons.” While a retrospective is a must at project close, I highly recommend scheduling time for retrospective sessions at the end of project phases, or when a significant milestone is completed. They are also extremely useful in helping to salvage troubled projects. Not only do these exercises enhance the probability of success, but they are a terrific way to build supportive and collaborative project teams. Our client, the American Geophysical Union (AGU), won the Abila Achievement Award for using netFORUM Enterprise in conjunction with xWeb and data tools to integrate information from three disparate data sources related to membership, conferences, and scientific journals. Now staff can see how members, authors, speakers, and customers are interacting with AGU, and take steps to improve marketing efforts and deepen engagement. I, too, was very moved by Roy Spence’s keynote, and especially the story of the little dog, Ricochet, finding her purpose and excelling! It’s quite a reminder for us to recognize and value the strengths of those around us. Like Gretchen said, if one of your mission-critical system providers offers a user conference, put money in your budget to go. You improve the return on your technology investment, learn the unexpected, revive acquaintances, and meet interesting new friends.